Our estate planning lawyers in Perth provide wills and estate planning advice. During your lifetime, effective estate planning will ensure that should you suffer from physical ill health or mental incapacity, others can make decisions on your behalf or act on your directions. 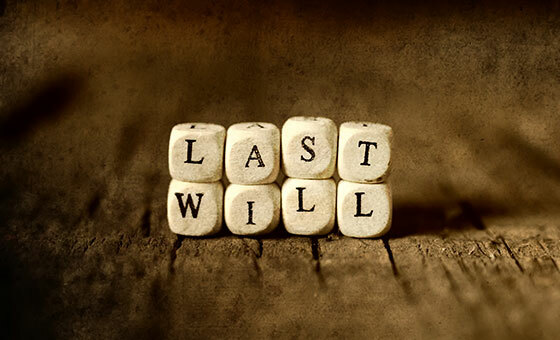 A Will is the legal document that describes how you wish your assets to be distributed upon your death. A Will also allows you to choose an Executor who will be responsible for making sure your wishes are met. Discretionary and Non-Discretionary Trusts are often created in Wills. In a Discretionary Trust, the distribution of income and capital is made at the discretion of the Trustee. In a Non-Discretionary Trust, often referred to as a “Bare Trust”, the Trustee has no discretion and must transfer to the beneficiary of the Trust, on demand, legal ownership of assets within the Trust. If you establish a Discretionary Trust in your Will, it will be valid for a period of 80 years from the date of your death, which means that the Trust is capable of distributing income across multiple generations, protecting assets from marital disputes and creditors. Gives another person the legal authority to make financial and property decisions (but not personal, lifestyle or treatment decisions), on your behalf. Is different to and entirely separate from a Will. Can only be made if you have legal capacity to make it. Effective only during any period when a declaration by the State Administrative Tribunal that you do not have legal capacity is in force (called a “Dormant Enduring Power of Attorney”). In order for an attorney to deal with land transactions on your behalf, the EPOA must be registered with Landgate. An EPOG is a legal document that authorises a person of your choice, to make important personal, lifestyle and treatment decisions on your behalf, should you ever loose the legal capacity to make such decisions yourself. This person is known as an enduring guardian. An enduring guardian could be authorised to make decisions about things such as where you live, the support services you have access to and the treatment you receive. An enduring guardian cannot be authorised to make property or financial decisions on your behalf. You must be 18 years of age or older and have full legal capacity (this means you must be able to make a formal agreement and understand the implications of statements contained in that agreement). You can appoint more than one enduring guardian as joint enduring guardians, but they must act jointly which means they must reach agreement on any decisions they make on your behalf. If you plan to appoint more than one enduring guardian it is important you consider their ability to work together on your behalf. Decide where you live, whether permanently or temporarily. Decide who you live with. Decide whether or not you work and, if so, any matters related to that work. Make treatment decisions on your behalf to any medical, surgical or dental treatment or other health care (including palliative care and life-sustaining measures such as assisted ventilation and cardio-pulmonary resuscitation). Decide what education and training you receive. Determine who you associate with. Commence, defend, conduct or settle any legal proceedings on your behalf, except proceedings that relate to your property or estate. Advocate for and make decisions about the support services you access. When making an EPOG you must also determine the circumstances under which your enduring and substitute enduring guardians will act. For example, you might direct that your enduring guardian act only when they are in the same State as you. An AHD is a legal document that enables you to make decisions now about the treatment you would want – or not want – to receive if you ever became sick or injured and were incapable of communicating your wishes. In such circumstances, your AHD would effectively become your voice. The term ‘treatment’ includes medical, surgical and dental treatments, including palliative care and life sustaining measures. An AHD would come into effect only if it applied to the treatment you required and only if you were unable to make reasoned judgements about a treatment decision at the time that the treatment was required. An AHD sits at the top of the hierarchy of treatment decision-makers. (The hierarchy sets the order in which health professionals must seek treatment decisions when treating a person with a decision-making disability). This means that even if you had an enduring guardian, the health professional would be obliged to follow your wishes as outlined in your AHD, except in very limited circumstances.